Andrew Lincoln, the main star of "The Walking Dead," is reportedly leaving the show after Season 9, according to ComicBook.com citing multiple sources. And Lincoln, who plays Rick Grimes, may not be the only cast member to exit. Several other cast members are also in the final years of their contract, including "Black Panther" star Danai Gurira, who has played Michonne since Season 3. Lauren Cohan, who plays Maggie, is only contracted to appear in six episodes in Season 9, which is currently in production. ComicBook.com said it's still unclear how Lincoln will be written off. Lincoln is one of the few early cast members -- actors who joined the show during Season 3 or before -- left standing. "There's only me left in the top 10 [of the call sheet,]" Lincoln told ComicBook.com ahead of the Season Eight finale. "Norman [Reedus] and Melissa [McBride] and Danai [Gurira] and [Lauren Cohan], they're all in the twenties ...This job is, as I said before, glorious and unique. I wouldn't trade it for the world. The stinger is the fact that I seem to be the guy left on the pier waving people away. That's powerful." 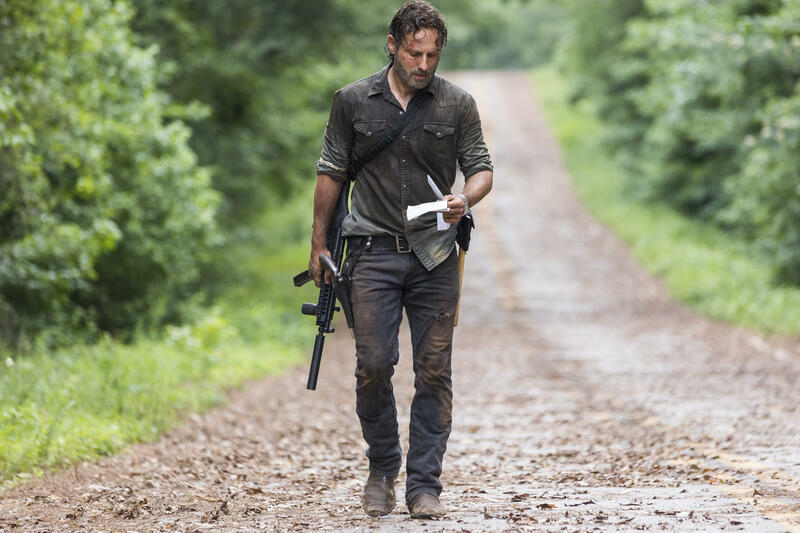 Lincoln told ComicBook.com before that he was ready to see the end of Rick Grimes' storyline, though he said he was excited to work with new showrunner Angela Kang. "There's part of me that really wants to complete something," the actor said. "How long that takes? I don't know but certainly I really think the fans and my character deserves an end point as some time in the future."